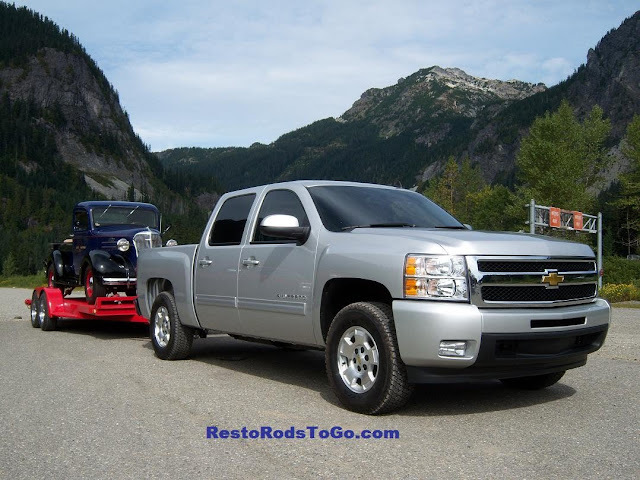 My 1937 Chevrolet Pickup Truck is quite a compliment to the new 2011 Chevrolet Silverado. I'm hopeful that this filming of the new Silverado towing the 1937 Chevy in the Cascade mountains of Washington, will actually make it to national television advertising. It was an interesting afternoon spent with the filming crew. We hooked the trailer to the new Silverado about noon and finally disconnected it about 8:00 pm. 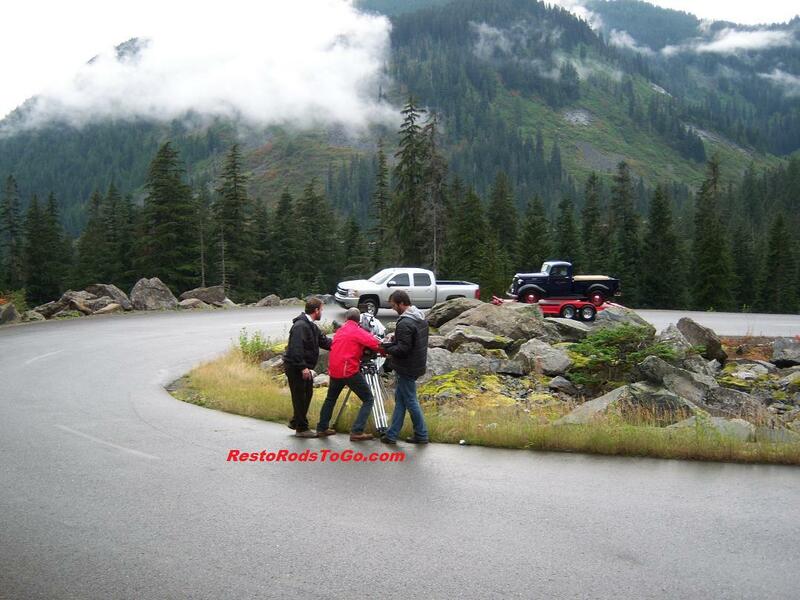 Though it was raining off and on, filming continued through the afternoon and into the evening, during the summer daylight hours. The crew that did this, was involved with a number of different themes for the national Silverado advertising campaign throughout the week here in the northwest. Keeping my fingers crossed for Superbowl Sunday! Gotta dream right?